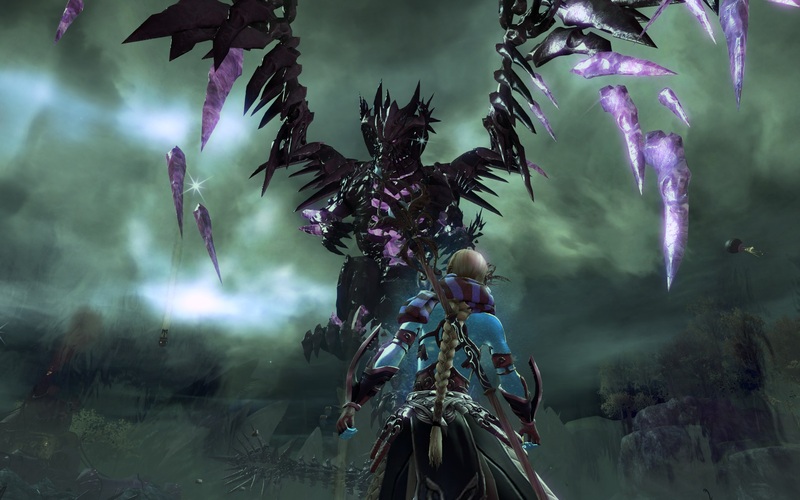 A month ago in this news release ArenaNet overhauled a boss very familiar to most Guild Wars 2 players, The Shatterer. Both the dragon and the Vigil have updated battle tactics, minions and siege engines, and a slew of new achievements and rewards have been introduced as well. I’ve had a number of weeks to play this new fight, collect achievements and monitor the community’s response. Now’s a good time to bring you an update. The team at ArenaNet have also done a follow up on their twitch.tv channel (though it’s a bit long and covers a lot of other topics too). They also produced a summary of that, which is a bit easier to follow. The last big dragon overhaul that I recall was to Tequatl the Sunless, champion of the elder dragon Zhaitan. The empowered Tequatl was brutal on release, devastating armies of players for weeks, spawning new guilds dedicated to its defeat and a myriad of nicknames like Tequila, Taco and Teakettle. Eventually, players got used to what they needed to do and most of the time these days Tequatl is “on farm”, i.e. beaten up for loot all day every day. So, how did the release of the new Shatterer compare for difficulty? 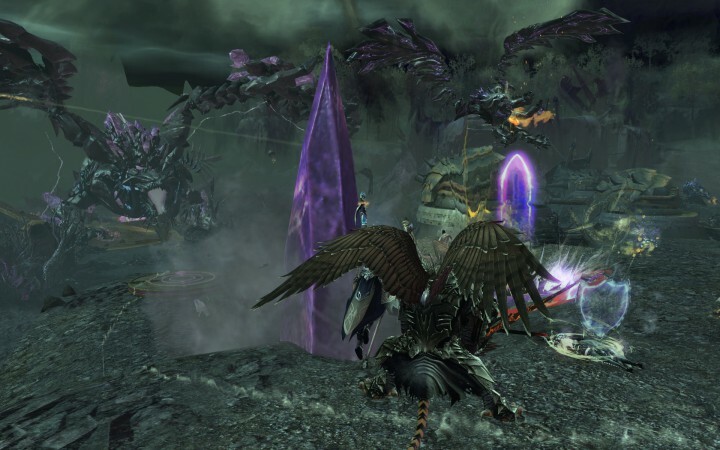 The Shatterer is more challenging and it’s way more fun for sure, though not as brutal as Tequatl. The difficulty is in a pretty good spot. The biggest change is that this release coincides with the introduction of gliding in classic Tyria, which I talk about in my Masteries primer article here, and the designers were very keen to let players attack the Shatterer from the air as well as the ground. 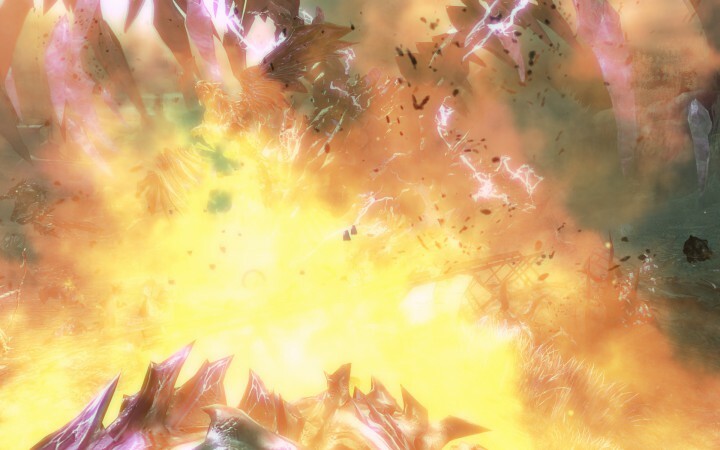 But watch out, because the Shatterer is surrounded by arcane energy storms that can strike you from the sky! Launch pads have been added on the Vigil’s side that players can use to launch themselves at the Shatterer, carrying payloads of bombs to drop on his head and medpacks to drop for allies. The familiar turret cannons and mortars have been updated to be much more user friendly than before. Those cannons used to kick me off all the time! The actual Vigil troops helping out are much the same, i.e. don’t expect them to attack the Shatterer, but they will look after their side of the battlefield. The Shatterer’s own minions have been significantly updated and are way more powerful than before, roughly divisible into two types of regular enemy (dogs and devourers) and two types of elite enemy (minotaurs and griffins), all of which attack in far greater numbers than before. The players need to work together a lot harder to stay in control of the Vigil’s positions as wave after wave of minions attack. In fact, I’ve often seen the right flank completely overrun and players scrambling about in disarray – this is much more entertaining than it used to be. ArenaNet seems to need little excuse to add achievements to their game and a brand new Shatterer was always too good to pass up on. Most of the new achievements are sign posts for particular features of the fight, like dropping medikits for allies from the glider, breaking healing crystals or smashing allies out of crystal prisons. A few however, are really quite difficult and require all the players to work together to get them done. Firstly, it’s possible now to prevent the Shatterer from flying up into the air by breaking its breakbar when it attempts to take off. You get an achievement for repeating that a number of times. The hardest achievement is making sure the Shatterer never takes off for the entire fight, which requires significant coordination for the duration. At time of writing it’s the one achievement I’ve not seen done, but I’ve heard that it has been at least once in the last month. So, I’ll have to make an effort to find a very organised Shatterer fight some day. In all there are 11 new achievements. Getting 10 of the achievements is enough for a brand new Shatterer reward, a Branded Backpiece that flickers with purple lightning. 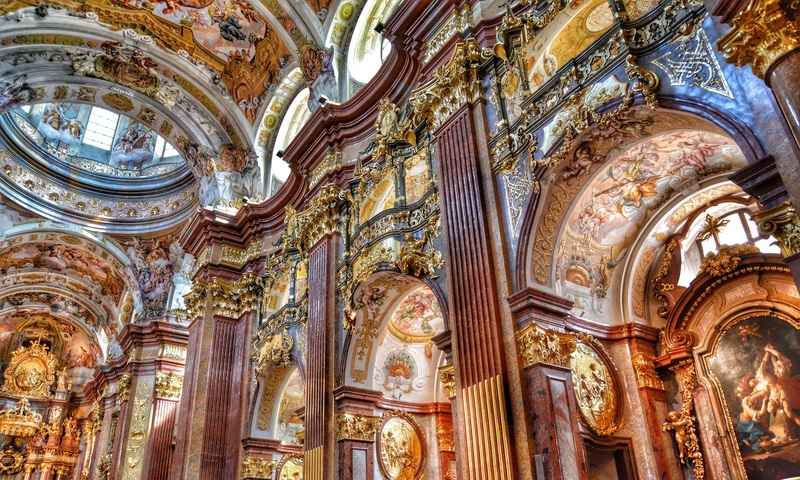 It’s worth remembering that this content is available for free! 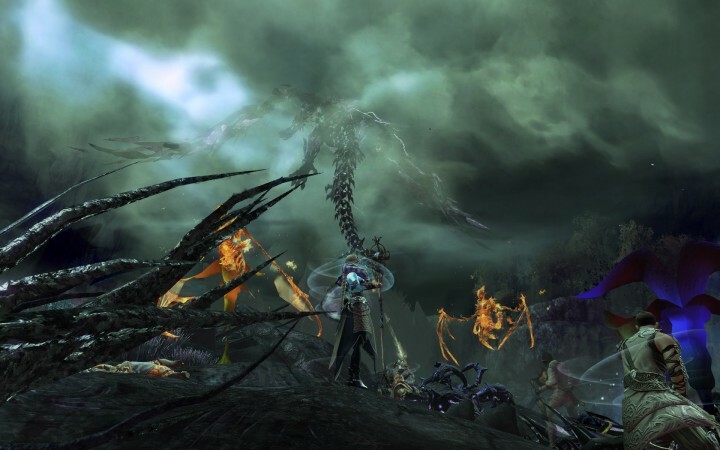 Ever since the Heart of Thorns expansion released, the core regions of Tyria have been open to free-to-play players and The Shatterer is a battle that takes place in classic Tyria. That means that even if you’re not a player right now, you can go to guildwars2.com and start playing at no cost (well, beyond owning a suitable computer with an internet connection etc.). The only restriction as I understand it is that gliding is a feature of Heart of Thorns and so free-to-play players wouldn’t have that, but otherwise it’s pretty much the same. Quite some time ago I got myself a free-to-play account in addition to my regular one just to try it out, and I wrote about my experiences here. In short, it’s pretty fun. If you have any comments or questions, I’d love to hear from you below. Donate | Get your Guild Wars 2 stuff here! Next PostNext Guild Wars 2: Is Bubbles the Next Dragon?